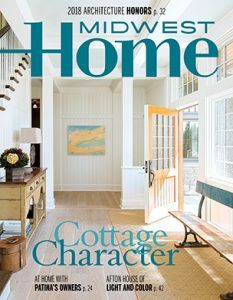 Midwest Home magazine is the leading shelter publication in the Twin Cities. We bring our readers new design trends, insight into local style makers, and the latest in home products and décor. Our editor features fine homes and furnishings that inspire and intrigue. Our staff shares our readers’ interest in architecture, design, and luxury, connecting them to the people, places, products, and services that create high-style living. As an integrated media company, we create custom solutions for our clients to advertise by leveraging our powerful print, digital, and event programs to provide one-of-a-kind touch points with our engaged readers. Click below to download our most up to date media kit to learn about advertising opportunities in our print product.